This volume is part of the Ceramic Engineering and Science Proceeding (CESP) series. This series contains a collection of papers dealing with issues in both traditional ceramics (i.e., glass, whitewares, refractories, and porcelain enamel) and advanced ceramics. Topics covered in the area of advanced ceramic include bioceramics, nanomaterials, composites, solid oxide fuel cells, mechanical properties and structural design, advanced ceramic coatings, ceramic armor, porous ceramics, and more. 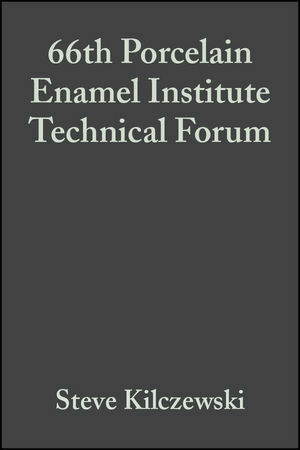 Steve Kilczewski is the editor of 66th Porcelain Enamel Institute Technical Forum, Volume 25, Issue 5, published by Wiley.